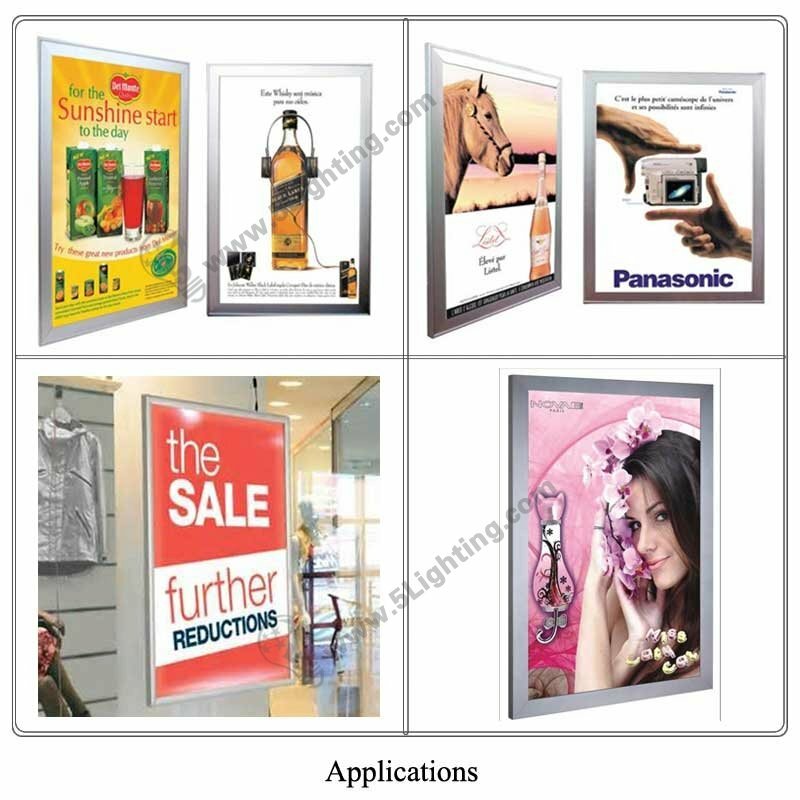 Application: Widely used in various of display scenes, such as slim advertising light boxes at trade fair, gallery and other display place ect. 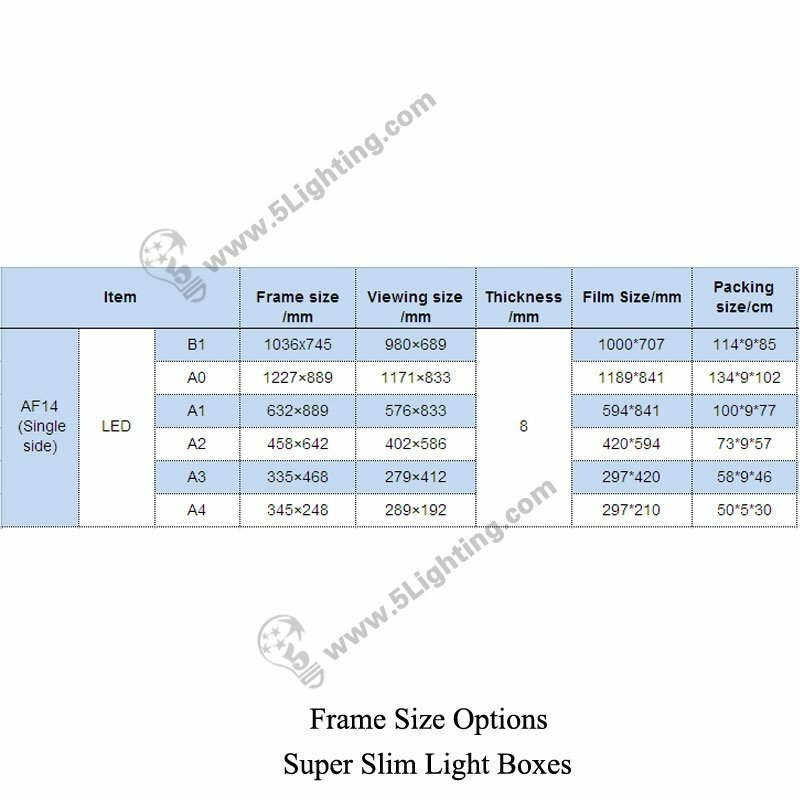 b): Fashionable design LED slim light box single side with clear appearance, widely used in various of display scenes, such as slim advertising light boxes at trade fair, gallery and other display place ect. 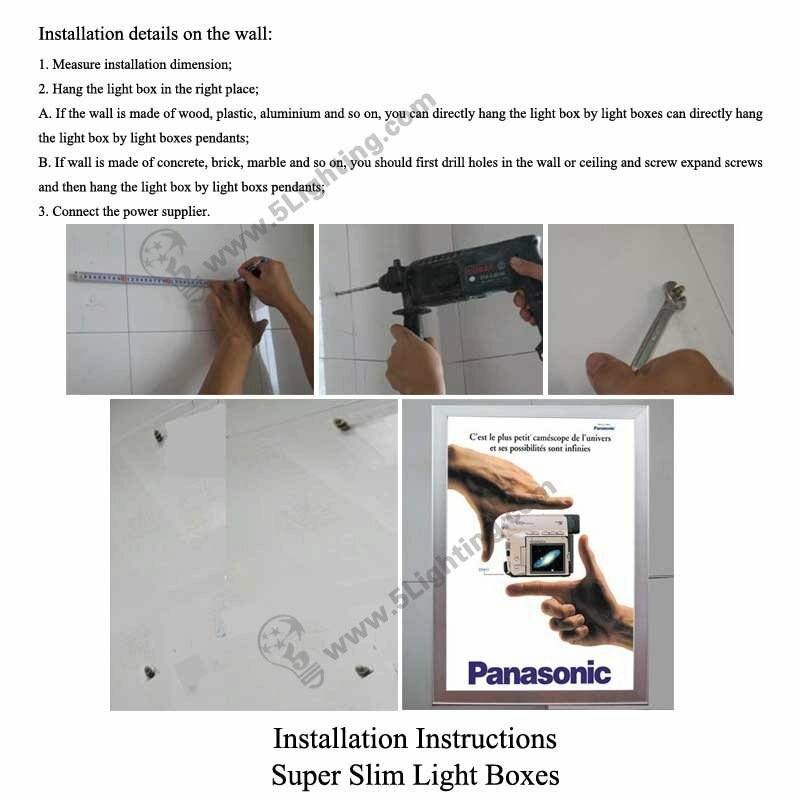 e): Innovative guided light technology of ultra-thin led light box 8mm, its principle and efficiency to be on a par with LCD screens. 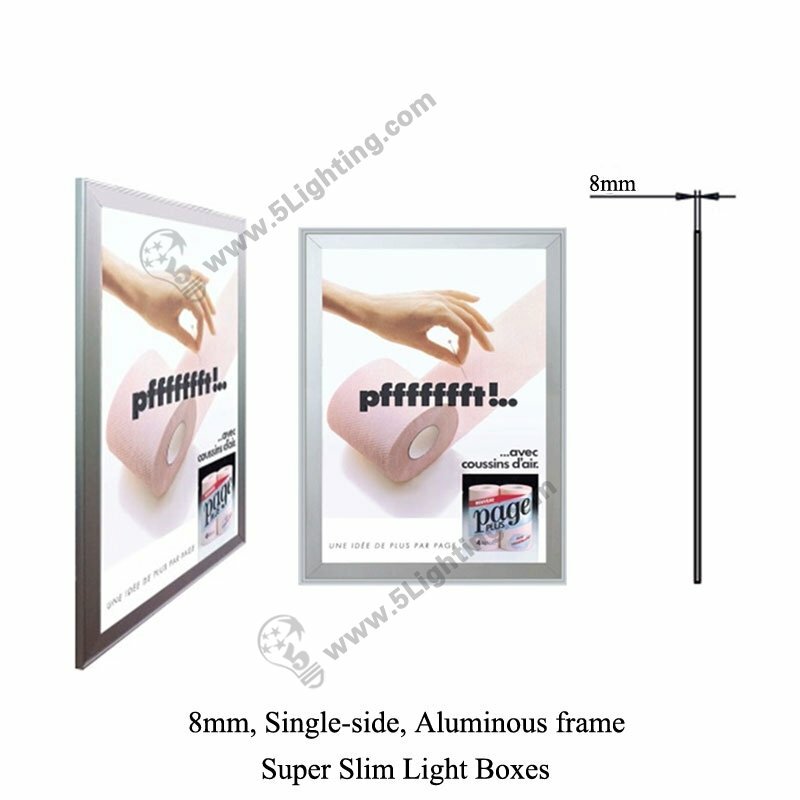 g): Easy installation with clip open type, circular arc, only need to open 4 upper covers of this light box, take down its front plate and replaces pictures, re-cover that front plate and then completes installation, you can easily replace a poster within 5minutes. 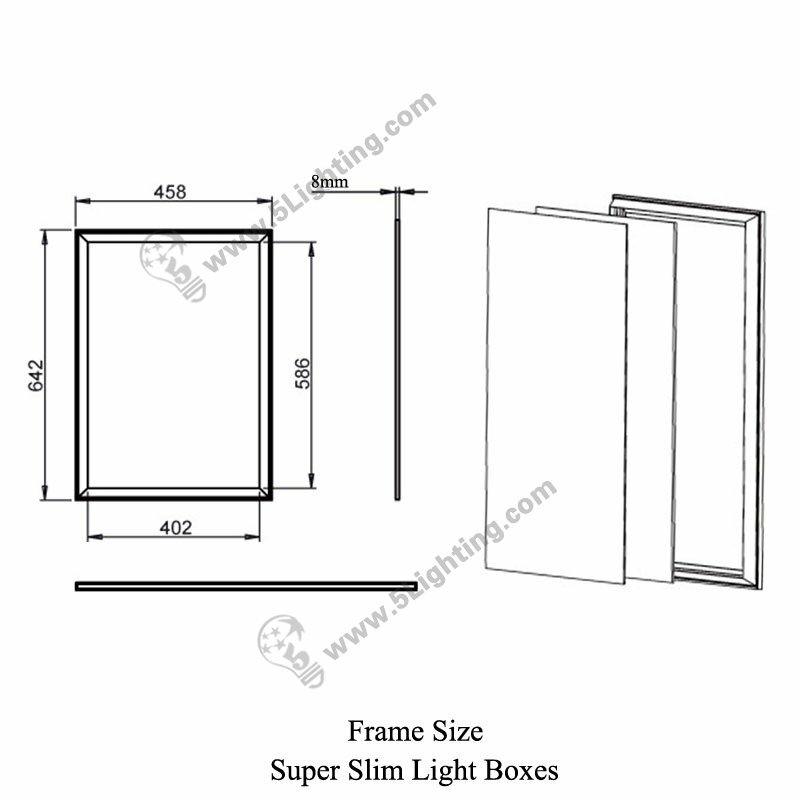 Good quality super slim light box 8mm from 5 star lighting factory ! 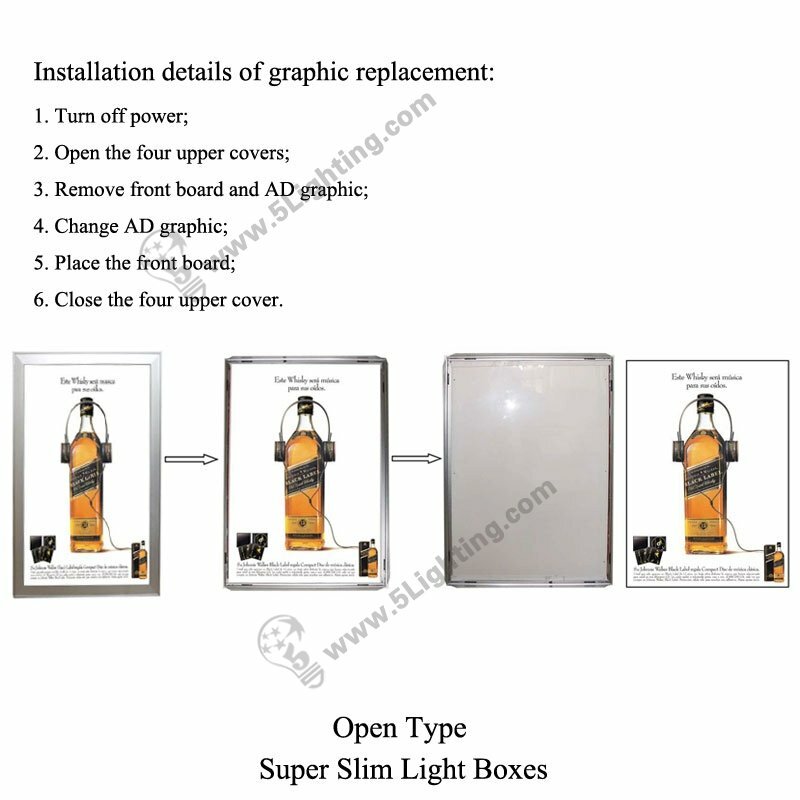 Open type: Clip type, circular arc, open the 4 covers and take down front palte to change poster which you want to display.